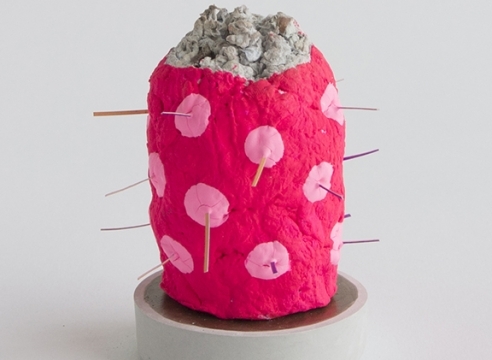 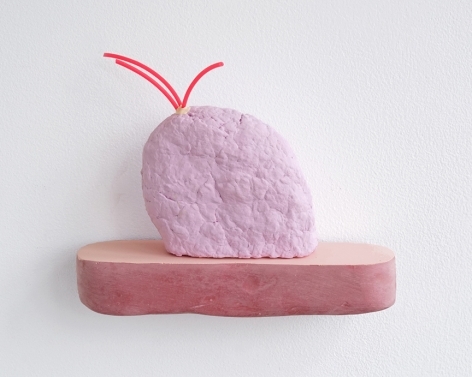 One example of their process is the Lump Nubbin series, which could be described as imaginary desert plants and cacti. 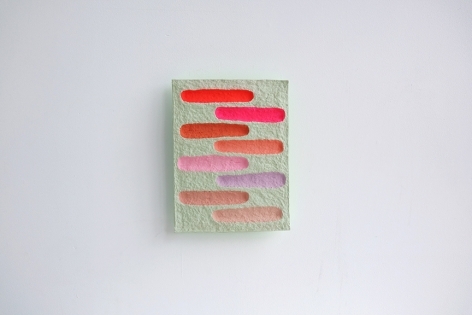 Small in scale, this ongoing series is based on paper pulp forms, made from their own studio scraps. 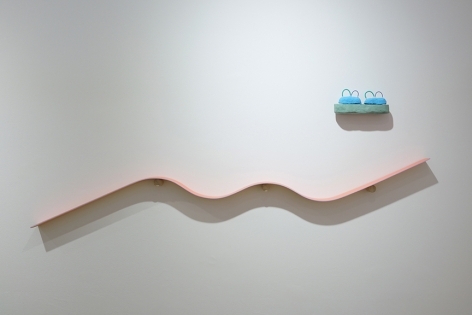 Brilliantly painted, the amorphous sculptures are often combined with strips of painted paper and set on concrete bases. 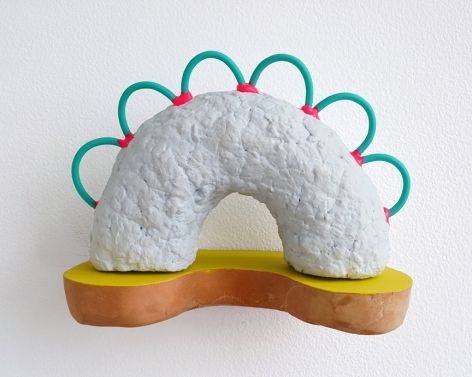 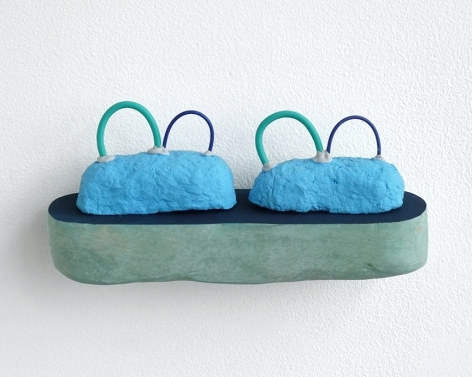 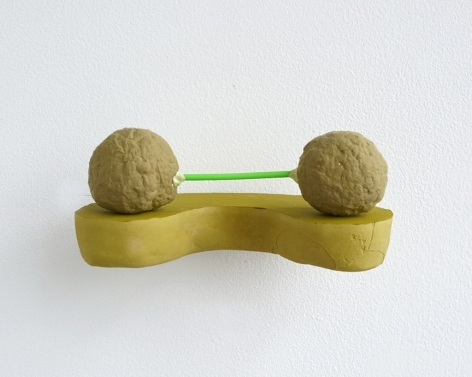 Frezza & Chiao have now freed these sculptures from the pedestal, allowing them to sit directly on the wall. 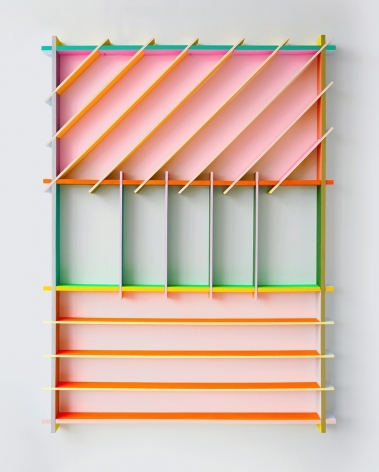 This transferal increasingly blurs the distinction of the object as sculpture or painting. 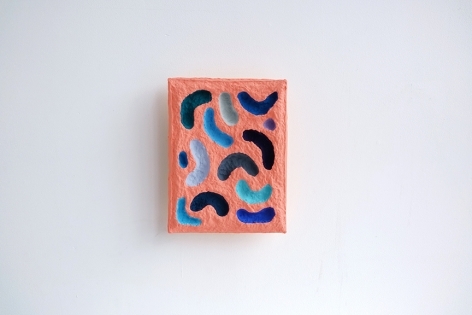 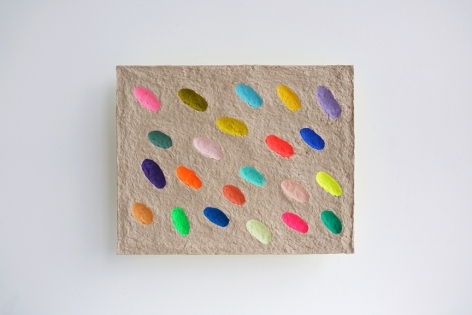 Chiaozza continue this thought process with their series of paper pulp paintings. 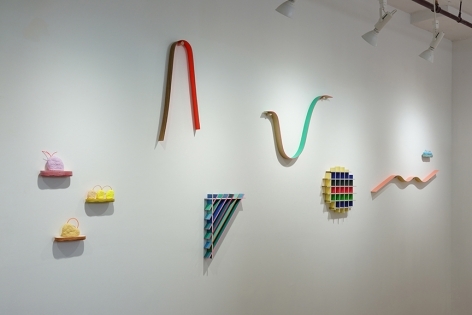 As opposed to the Nubbins, these works take the flat, rectangular format that one associates with paintings. 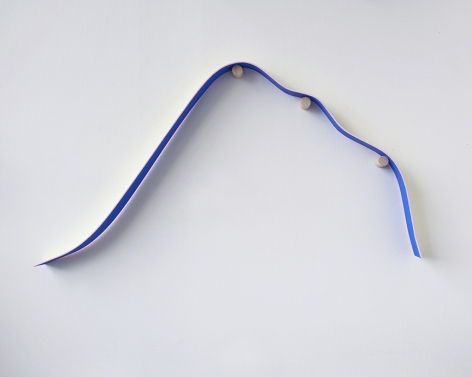 However, they still retain a topological aspect in their surface. 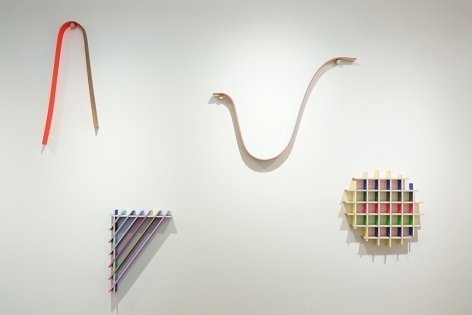 They float out from the wall, which allows the colors that adorn their backs to engage the wall as a pigmented halo that stretches out beyond their borders. 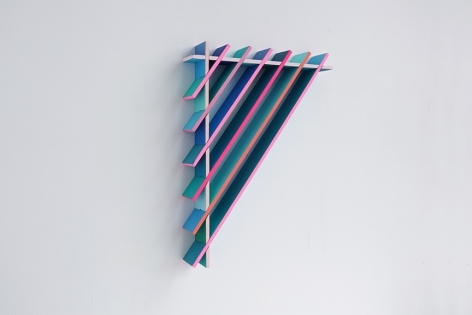 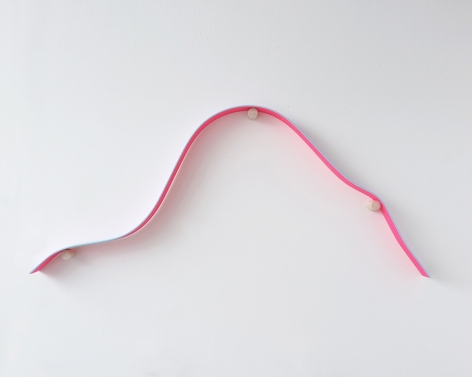 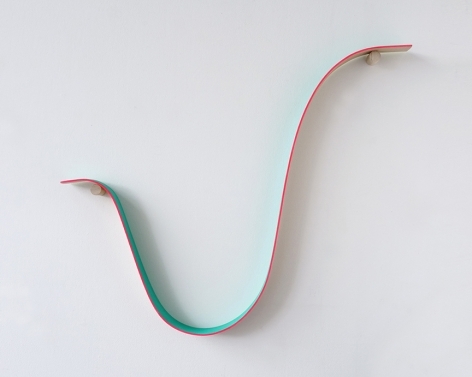 In the Shapeless Shapes series, thin wooden strips undulate around wooden pegs attached to the wall. 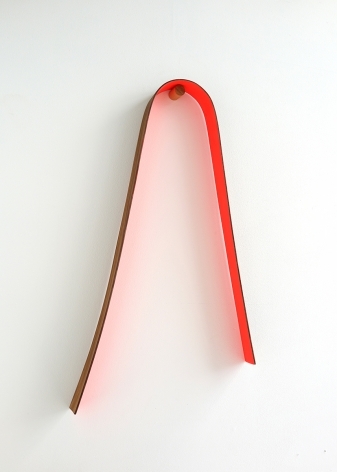 One side of the strip is painted, and the other stained, so that the presence of a glowing hue on the wall lends a sense of “inner” and “outer” to each flat, wave-like form. 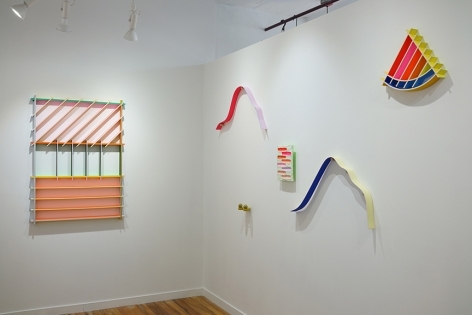 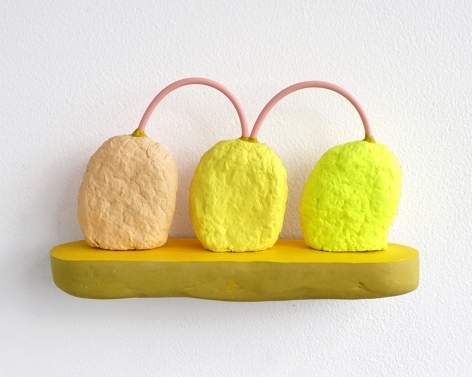 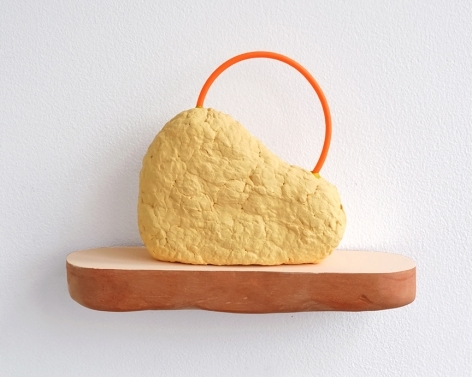 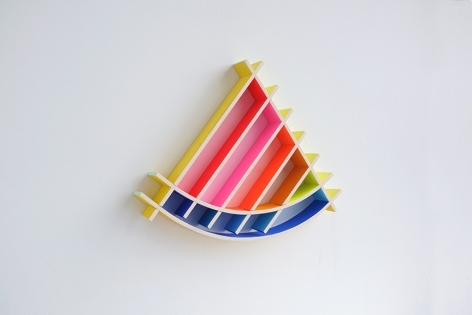 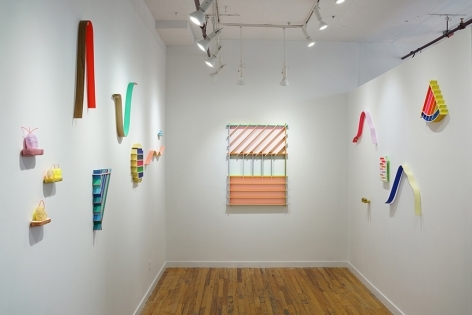 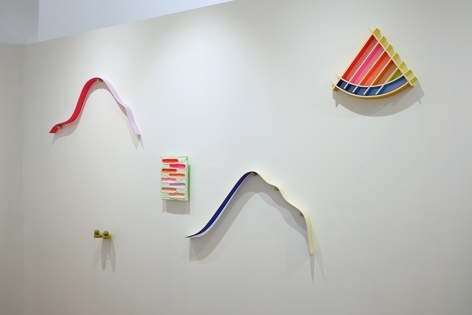 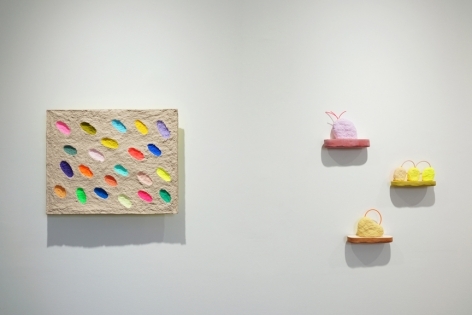 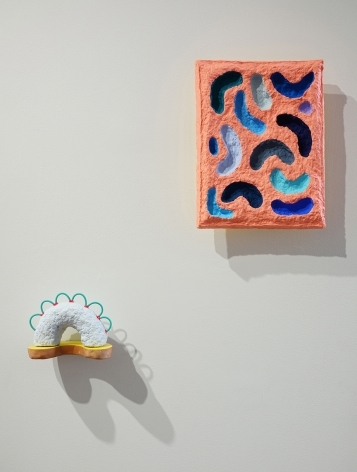 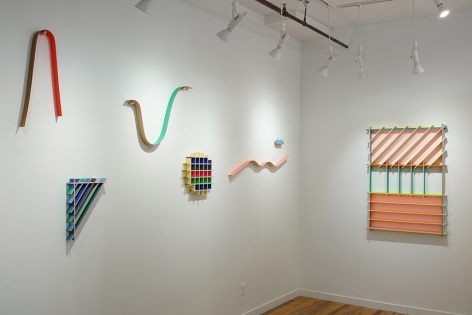 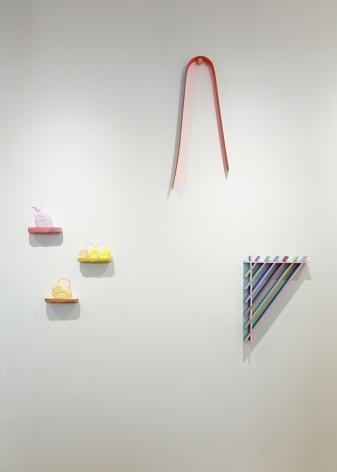 These works are complemented by another series of wood and paint wall sculptures. 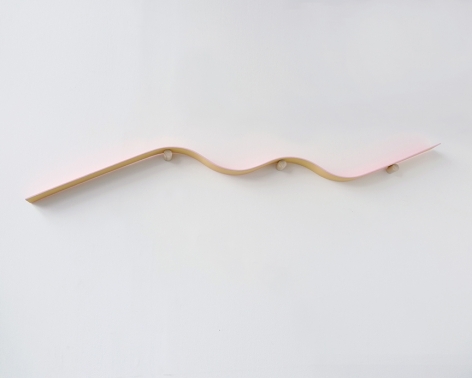 These are composed of wood slabs, both straight lap-joined and steam-bent into curving arcs, all of which intersect throughout the object. 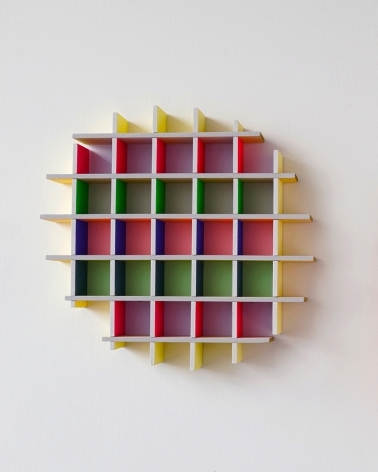 The interior compartments that emerge are also brightly colored, and their chromatic glow is divided and accentuated by the painted edges of the planks. 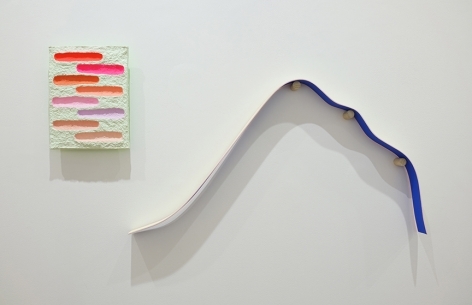 Once again, Chioazza’s work falls between the categories of painting, sculpture and design.